This pose was originally created from scratch back in April for a human toon girl. However, being unable to figure out who the star would be stalled the project for a moment, until I saw Jugend tweaking Cinnamon's design in some recent pics. An end card from Oswald the Lucky Rabbit (http://disney.wikia.com/wiki/File:Oswald_the_Lucky_Rab...) also inspired the idea. A WIP was quickly made for Jugend, who replied with some suggestions. 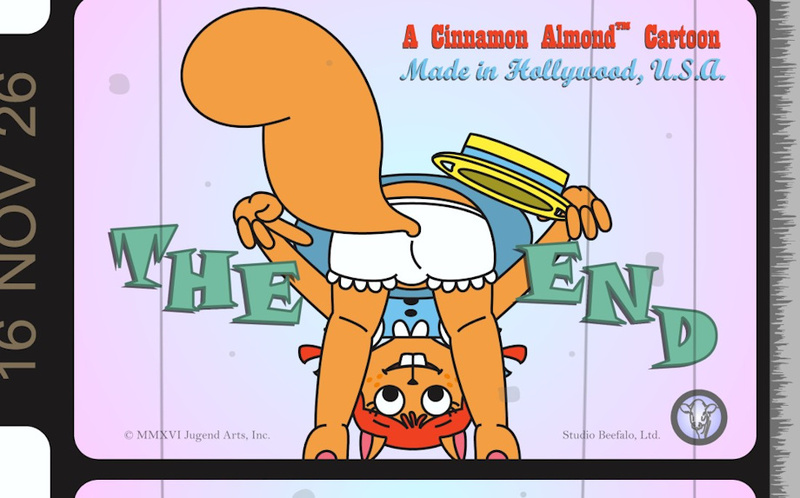 Due to a bazillion things happening offline it wouldn't be until earlier this week that I would revive the project and apply said suggestions, along with adding the filmstrip motif... around Cinnamon's birthday on November 24th.